Great service and Dexter loved it! Will definitely be going back! After a bad experience with a previous groomer i found Happy Tails, Kate is an excellent groomer always asks what i want first and does exactly that. Alfie comes home looking so handsome and smelling great. Mum says that her dog Lady looks fantastic after her hair cut. You are also brilliant with her very professional but also very caring a Big Thank you. Arthur just loves visiting Happy Tails, he always comes out looking smart and well groomed. Thanks Kate for the excellent job you do!! Kate is great with Bracken! He hates having his paws touched but Kate still manages to trim them! Recommended! Our schnauzer is very sensitive and after a bad experience with another groomer she was pretty nervous being clipped. Kate is brilliant with her. Incredibly patient and kind, Pepper comes back looking great and very happy. The pick up and return service Kate offers is so helpful too. Would most definitely recommend Happy Tails Dog Grooming. 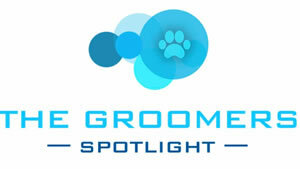 Kate is the best dog groomer I have ever had and I would not hesitate in recommending her to anyone. She really takes care of your dog like they were one of her own. She is just the best! We have always taken our Alfie to Kate for a full groom and she does a fantastic job.. Considering Alfie isn't a fan of being groomed she always manages to make him coming out looking very smart! Always very satisfied! Thank you!